Myself and Comrade Ajanaku out of Chicago are in the process of collecting essays for a book we are working on. 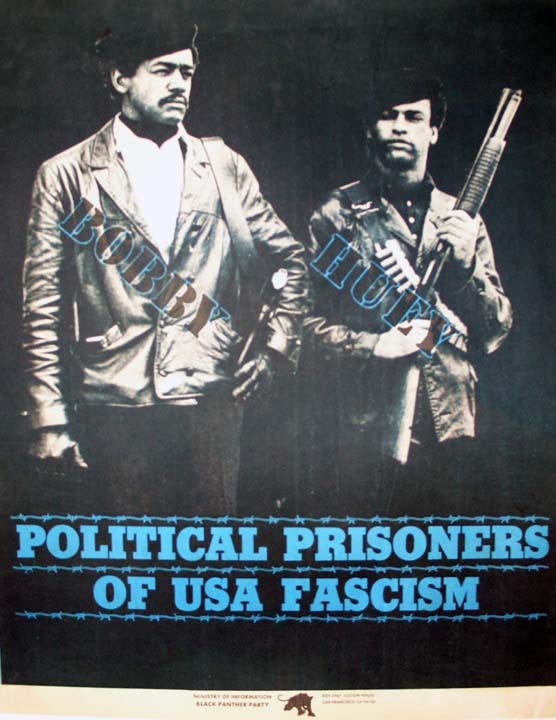 Though it is titled “In the Spirit of George Jackson,” the book will not be about Comrade George; it will consist of essays written by New Afrikan Black political prisoners and political prisoners of war. We developed a list of those prisoners and requested two to three essays from each individual, each essay not to exceed 15 pages. You choose your own topic. All contributions must be sent to the Bay View (4917 Third St., San Francisco CA 94124). When you address your envelope to the Bay View, write “Attn: In the Spirit of George Jackson.” All contributions are due Oct. 1, 2012. The proceeds from the sale of this book will be used for two purposes:1) A portion will be donated to the San Francisco Bay View, and 2) a portion will be donated to the New Afrikan Criminology Academy (NACA), a think tank that Comrade Ajanaku helps coordinate. My brothas and sistas, please don’t bombard Sista Mary at the Bay View with questions. We will provide periodic updates. With regards to that list of potential contributors, we did remove some of the names, but the following are those individuals we are seeking contributions from: Mumia Abu-Jamal, Dr. Mutulu Shakur, Sitawa Nantambu Jamaa, Janet Afrika, Janine Afrika, Debbie Afrika, Heshima Denham, Michael Dorrough, Jalil Muntaqim, Abdul Majid, Mutope Duguma, Ajene Nkrumah, Baridi Yero, Sundiata Acoli, Charles Afrika, Sangu Kambon, Delbert Afrika, Paul Redd, Jamil Al-Amin, Russell Maroon Shoatz, Edward Afrika, Charles Coleman, Michael Afrika, Herman Wallace, Masai Mugmuk, William Afrika, Yafeu Iyapo, Ifoma Kambon, Jekou Odinga, Jitu Kambon, Richard Wembe Johnson, Richard Mafundi Lake, Mondo We Langa, Khalfani X. Khaldun, Sondai Kamdibe, Jeffery Franklin, Saani Al-Azeez, Albert Woodfox, Rashid Johnson, Tashiri Askari, Herman Bell, Maliki Shakur Latine, Marshall Eddie Conway, Bro. Souldedad and Eugene Thomas. We insist for everybody to be patient; we are also working on a number of other projects. This will get done. Send our brother some love and light: Abdul Shakur (J. Harvey), C-48884, PBSP, D-4-212, P.O. Box 7500, Crescent City, CA 95532.